Untitled, Art is an international, curated art fair founded in 2012 that focuses on curatorial balance and integrity across all disciplines of contemporary art. Untitled, Art innovates the standard fair model by selecting a curatorial team to identify, and curate a selection of galleries, artist-run exhibition spaces, and non-profit institutions and organizations, in dialogue with an architecturally designed venue. Since 2014 the curatorial team has consisted of Artistic Director Omar López-Chahoud with curators Christophe Boutin and Melanie Scarciglia. 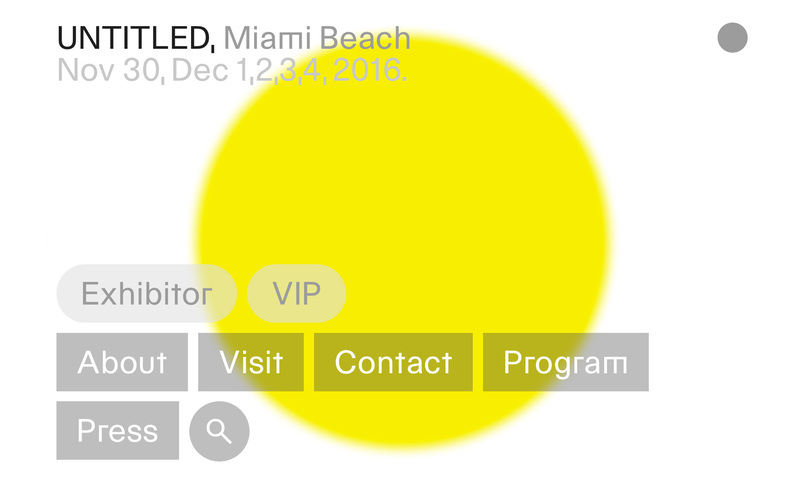 The next edition of Untitled, Miami Beach will take place on the beach at Ocean Drive and 12th Street, November 30 – December 4, 2016.